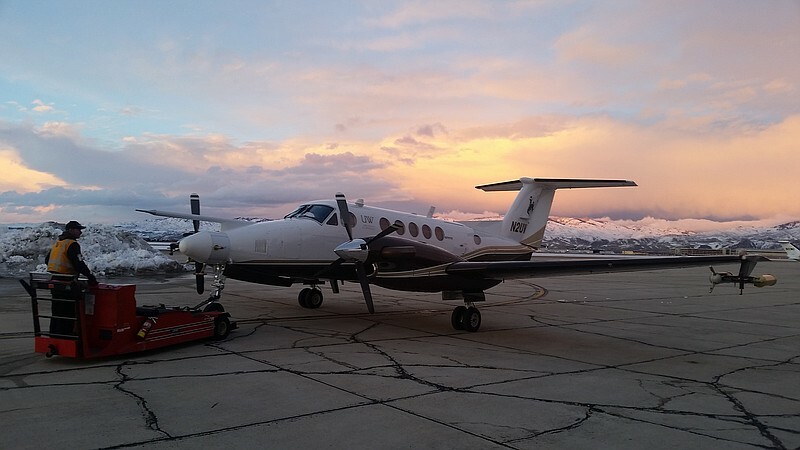 “I can say that we’re up significantly in the last 24 months on the number of smaller large-scale programs that we’re modeling and completing feasibility studies for,” says Neil Brackin, CEO of Weather Modification, Inc., a North Dakota-based cloud seeding company that operates across the Western U.S.
“And then compounded on all of that you’re watching a little computer screen the entire time,” says Jeff French, an atmospheric science professor at the University of Wyoming. “There’s been more than one or two people that have been sick on this plane,” he says. “So, sometimes the question … is: ‘Does it produce additional snowpack on the ground?’ And we’re still working to try to answer that question,” Tessendorf says. There are plenty of other caveats from the study, Tessendorf says. In SNOWIE, planes sprayed silver iodide into more than two dozen clouds that looked ripe for seeding. “But they could only draw a clear link between seeding and snowfall in three cases. There’s a small, hard to pinpoint signal that cloud seeding created additional ice in a handful of other cases. And then no signal at all in some instances. “It’s a complicated problem and the results that we see in one cloud will not automatically apply to every cloud everywhere,” Tessendorf says. “The reason that cloud seeding is being implemented on a relatively large scale in the Colorado River basin is it’s a very low-risk, high-reward scenario,” says Dave Kanzer, an engineer with the Colorado River District and manager of the Central Colorado Mountain River Basin Weather Modification Program, which receives funds from Lower Basin water agencies.